You know I love a challenge, right? Well I do. 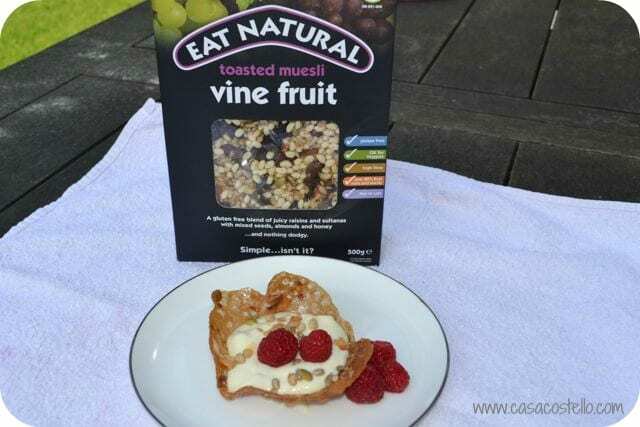 I’ve challenged myself to come up with an alternative way of presenting and eating cereal – Eat Natural cereal to be precise. I love the idea of getting my girls to eat more cereals – Not the processed kind covered in chocolate but natural goodness. I’ve always been a fan of cereal with yogurt and fruit as I’m not really a milk drinker and am working on the girls. Millie is up late most nights as she trains so hard with synchro and manages to get herself up and out at the crack of dawn each day – I’m conscious all the time that she must not burn herself out and how important a good snack is to keep her energy maintained. I’m also very intrigued by the world of edible bowls and know they are just the thing to get my girls trying new foods. 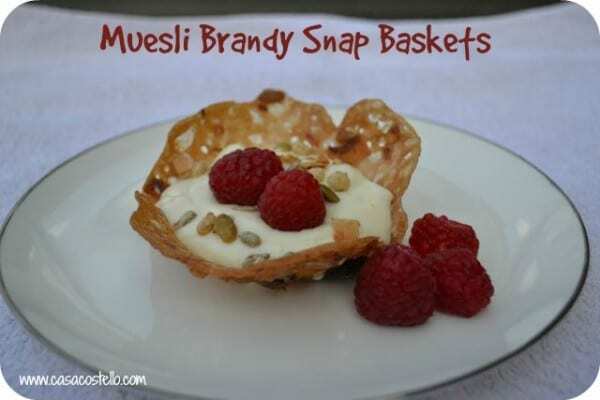 This recipe for Muesli Brandy Snap Baskets is a real novelty – It may contain sugar but also contains the goodness of the Eat Natural cereals, we were sent to try. We love the extra flavour that the seeds and nuts bring to the baskets. Mr C is rather addicted to the cereal with yogurt and Millie has been devouring it with tons of bananas. You won't believe how delicious these Muesli Brandy Snap Baskets are served with ice cold yogurt - I prefer peach or passion fruit yogurts with a generous sprinkling of more cereal. 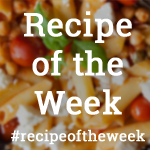 Using an electric mixer, whisk together the sugar and the butter until pale and fluffy. Add the syrup and continue to whisk for a couple of minutes until combined. Add the flour and the ginger and fold through. Place the muesli into a dessert bowl. Pick up the mixture (it will be like a loose dough) and place on top of the muesli. Press the muesli into dough until it has all been picked up and is evenly distributed. Preheat the oven to 190C and line a baking tray with baking parchment or a reusable baking sheet. Divide the mixture into 10 balls and place 5 well spread out onto the baking tray. The mixture can burn easily so I only cook 5 at a time. Slightly press the balls down with a thumb and bake for 14-16 minutes. Keep an eye open towards the end as they catch quickly. Remove from the oven and allow to cool for approx 2 mins only. They will still be hot but will have set enough to handle - Any longer and they will solidify too much. Mould on top of an upturned ramekin or bowl - I find a wooden bowl best - The mixture tends to slip down a china bowl or cup. 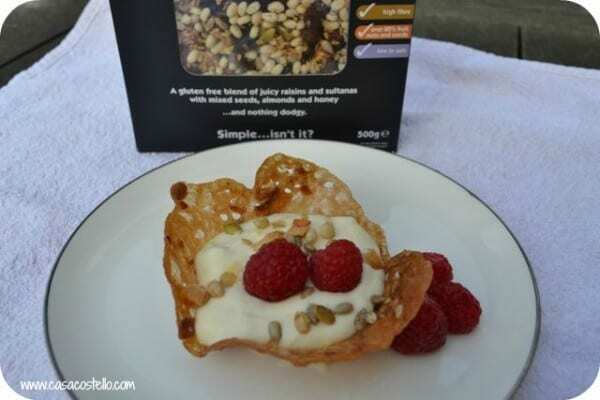 Serve with yogurt, fresh fruit and a sprinkling of more Eat Natural cereal.